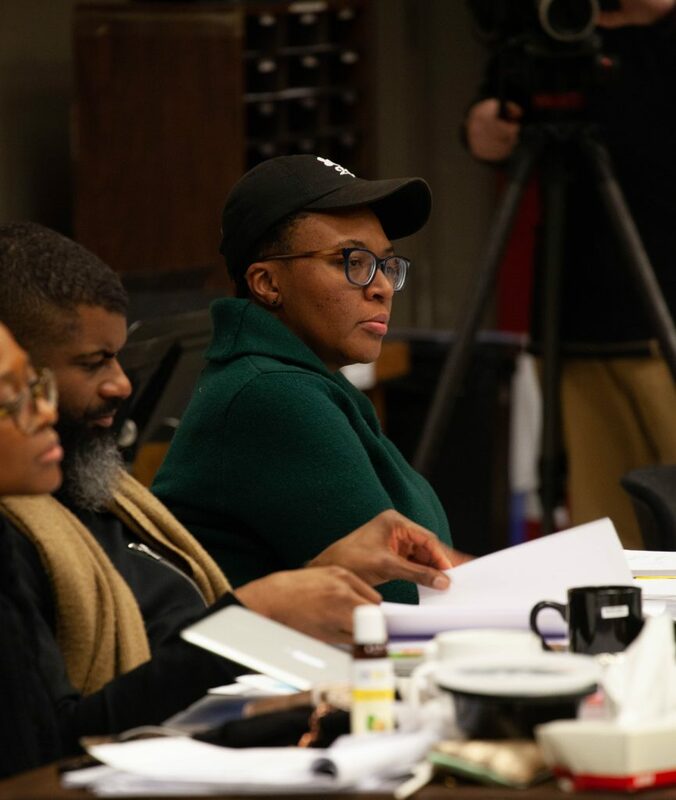 Let’s Play had the pleasure to partake in the Behind-the-Scenes media cast at Goodman Theatre to witness a creation come to life. Playwright Christina Anderson, of Goods and Inked Baby and the winner of the inaugural Harper Lee Award for playwriting, is the gifted playwright of ‘To Catch Creation.' Her visionary words from pen to paper helps open the minds of how we view each other retrospectively by focusing on the plight of what we don't understand; bringing clarity to help us rewrite how we once prejudged others. This fresh perspective of how we should all live free from prejudice regardless preference or choice makes Christina Anderson one to watch in 2019. To Catch Creation is also directed by Niegel is a Bessie Award-winning theater director and performance artist. His most recent work of ‘Father Comes Home from the Wars (Part 1, 2, & 3) last season at Goodman was nothing short of brilliant and was Let's Play #1 play for 2018! Smith is a brilliant director that will bring his precise expertise and professionalism to Creation. He is known to create performances that are engaging, provocative and that expand the limits of self-expression and his open-minded approach to allow the actor to breathe within a role aids in its creativity. Together with Christina, this play is sure to be one of Goodman's best in 2019. ‘How To Catch Creation' is about struggling to nurture and seeking to establish a remnant of self-worth and acceptance. As intersecting parts are brought together in a great collaboration of writing and directing, Creation's cast of Bernard Gilbert (Stokes), Karen Aldridge (Tami), Ayanna Bria Bakari (Natalie), Jasmine Bracey (G.K. ), Maya Vinice Prentiss (Riley) and Keith Randolph Smith (Griffin) are the heartbeat of the story and bring the talent needed to bring this play to life. During the time we were there, the cast was working on their parts and seeing how and where the props would move and off stage. 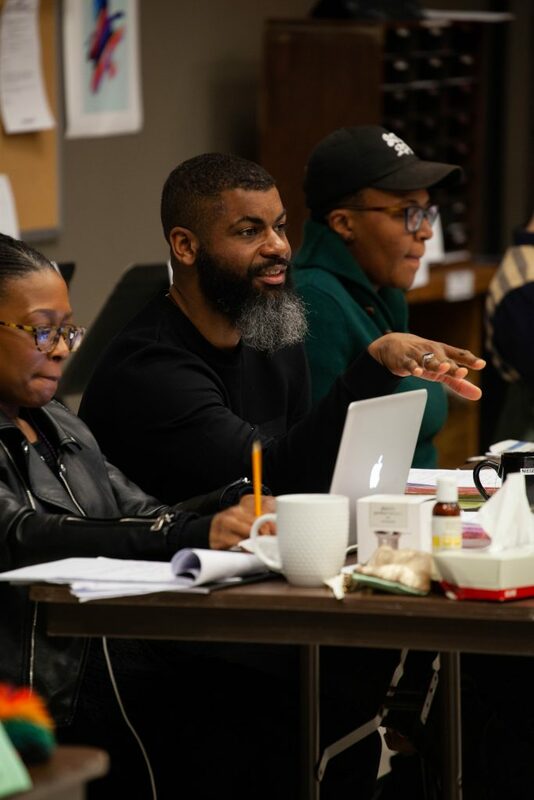 We also got the benefits to see the director, assistant director, and the playwright review how the transitions within the play would flow and make any changes needed to perfect the play before opening night. The room was filled with graphic design pictures of their costumes and stage settings. We were able to witness and examine the passion within the eyes of each actor and how dedicated they were to each line and scene. After the mini media rehearsal where the understudies were also included was completed, we were provided the opportunity to make comments and ask questions. The cast and direction team was open and candid about the play and provided answers that excited us to see the entirety of the play. The storyline between the three couples is spirited with many facets of Black love that is passionate, creative and will have you mesmerized. Without giving too much away about this play ‘How To Catch Creation walks you through the struggles to nurture creative impulses and establish a legacy in both their professional and personal lives will have to be seen. You can catch this intertwining storyline and see how it unfolds at the Goodman Theatre January 19 – February 24, 2019.